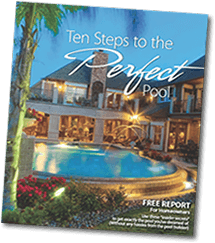 Monogram Custom Pools has been ranked as the #1 pool builder in Pennsylvania, although we focus on the northeastern PA area. And even though this area has a "short" summer, our customers typically keep their energy efficient pools open from April to October. Because Monogram Custom Pools stay "Crystal Clear and Hassle Free" without much owner involvement (due to our advanced automation and salt water system), our customers get to enjoy their pools for 7+ months! If you live in northeast PA you'd like to spend more time enjoying a new in ground concrete pool in your backyard rather than working on it, give us a call so we can create an award winning design for you.